BOISE — The Idaho Foodbank is increasing its food distribution by 20% to combat the residual effects of the government shutdown. 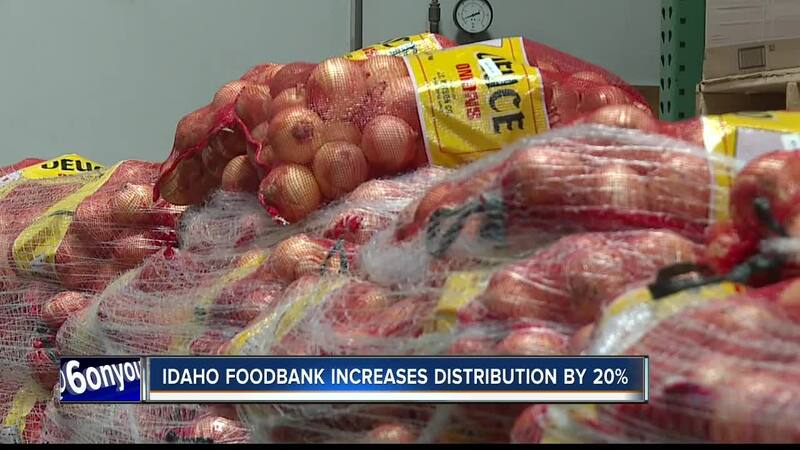 As the state’s largest hunger relief organization and largest distributor of free food assistance, Idaho Foodbank officials say the agency will provide food for an additional 266,600 meals starting this week and extending into early March. “Food and fund donations from partners and individual community members will support the increased deliveries and larger orders planned to offset anticipated heightened food insecurity between mid-February and mid-March,” said Foodbank spokesperson Whitney Slade. The government has reopened until at least February 15, but there are still significant concerns about the shutdown’s lingering effects, officials said. Federal workers are still waiting for backpay, more than one-million federal contract employees have lost almost ten percent of their yearly income, and millions of food stamp recipients all across the country are worried, according to reports. “SNAP benefits normally run out for most households before the end of the month. Within a week of receiving SNAP, households redeem over half of their SNAP allotments. By the end of the second week, SNAP households have redeemed over three-quarters of their benefits, and by the end of the third week, which arrives this month on February 10, they have redeemed 90 percent,” Slade explained. For more information on how the December 22, 2018-January 25, 2019, government shutdown affected the SNAP program and other federal programs -- and what The Idaho Foodbank is doing to support those who are experiencing food insecurity because of it – you are urged to visit the Foodbank’s website .